71% of customers say this fits as expected. He said they're great and very comfortable - they fit true to size. The Tamiami II shirt is made of nice, very light-weight fabric and perfect for hot days. He has tried other shirts but the Tamiami II fabric is what he likes because it is lightweight. 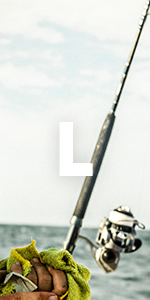 Made for comfort and functionality while fishing or just enjoying the outdoors. The Tamiami features wicking, sun-shielding fabric and a versatile look. 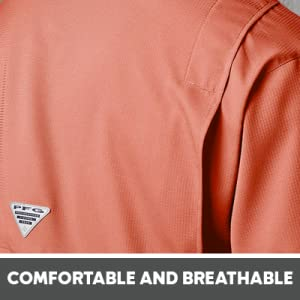 Whether you’re a serious angler, or simply enjoy spending time on the water, wearing a comfortable, breathable and cooling long sleeve shirt can significantly enhance your experience. 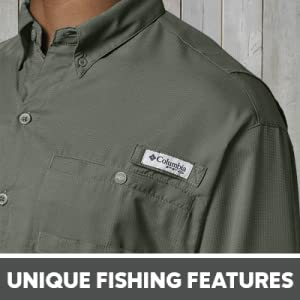 The Columbia Men’s Tamiami II Long Sleeve is a perfect shirt for a day of fishing or any outdoor activity. 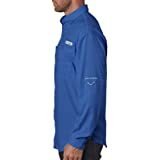 This Men's Columbia Tamiami II Long Sleeve Shirt features a rod holder on the chest and plenty of low-profile pockets to free up your hands while on the water. While on the water, things at times may get messy. 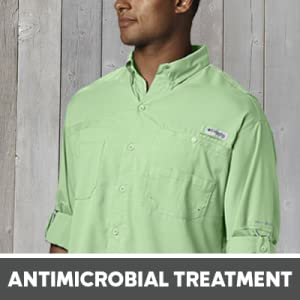 Our shirt features antimicrobial features that protects from bacteria growth. 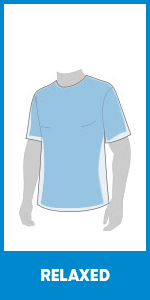 Columbia makes some fantastic shirts, but make sure to order the appropriate size. 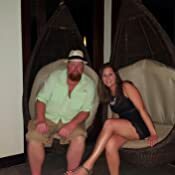 I am 5’10”, 195 lbs, and would typically wear a Large in most similar styled (button-up) shirts, but I have to get a Medium in Columbia PFG shirts. (The Medium is still a moderately loose fit, as the Large is like a tent on me). 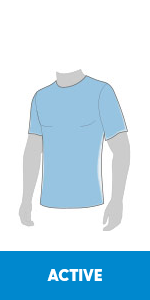 Tip number two is that because these shirts are on different sizing scale, many get returned to the Amazon Warehouse, so keep an eye for Amazon Warehouse deals on these shirts (see tips to finds the easiest way to compare prices across sizes and colors at the conclusion of this review). 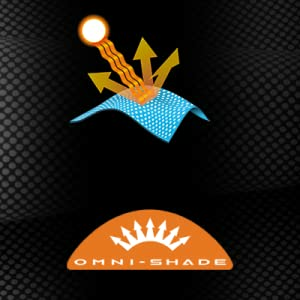 I have tried the Tamiami II, Bahama II, and Bonehead (AND new Blood & Guts III – see below for updated comparison including the BG3 series) versions of the Columbia PFG shirts, and have been mostly pleased with all of them. The Tamiami II was my favorite due to the cooling effect of the weave, but the similar Blood & Guts III is now right there with it. My reasoning for giving the Bahama II 4 starts instead of 5, is that out of the four series discussed in this review, it is my least favorite. The Bahama II tends to wrinkle, is not as cool feeling in extreme heat as the open weave Tamiami or Blood&Guts, and the nylon tend to feel slimy during periods of heavy perspiration. Below I have noted the differences in four of the PFG styles, for those trying to decide which shirt they may prefer. The Bahama II is the middle ground between the T2 and the BH. It is synthetic - similar to the T2, but is a nylon exterior shell with a polyester liner (whereas T2 is poly liner and shell). The pockets on the Ba are the same traditional Columbia PFG look as the pockets on the Bonehead. The slightly more rigid feel of the nylon, also gives the Bahama a more traditional (cotton-look) appearance than the T2. In a certain respect, the Ba nylon manages moisture better than the BH cotton version – i.e. it evaporates sweat more quickly. 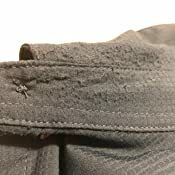 On the other hand, the nylon does not absorb moisture as cotton does, so while it does dry faster, it has a “slimy” feel to when sweaty that simply is not comfortable. The Bahama also wrinkles worse than any of the other PFG series shirts, so it is my least favorite series. That said, it is still a good quality shirt, and makes for a great work shirt during temperate weather (i.e. when it isn’t going to get slimy with sweat). Most everything has already been covered. The BH and the aforementioned Ba styles look virtually identical. Essentially, I like the Bonehead over the Bahama because it does not get that slimy feeling when you sweat, and it is slightly better from a wrinkle perspective. The Bonehead is probably my favorite series when moisture management and cooling effect are not important, so I like these in long sleeve for fall and winter wear. I also like the traditional appearance of the Ba and the BH for work wear, but the T2 look I like better for casual. (The newer Blood & Guts series has the comfort of the Tamiami series, but has a look similar to the Bonehead, so it is my new favorite summertime work shirt.) The Bonehead long sleeve also makes a great layering option for hunting season, and Sage is a great natural neutral (earth tone) color for this purpose. When this review was originally posted, I only contrasted the Bahama, Tamiami, and Bonehead series shirts, but recently I have found a new favorite – the Blood & Guts III (BG3). While the name may not be all that appealing, these are really great shirts. They have an SPF rating, therefore breathable/open weave, similar to the Tamiami, with a styling that more closely resembles the Bahama & Bonehead series. The BG3 is also treated for stain resistance, making it a great shirt for fishing, work, and outdoor activities. Finally, the BG3 does not wrinkle nearly as severely as the Bahama nylon or Bonehead cotton shirts do. 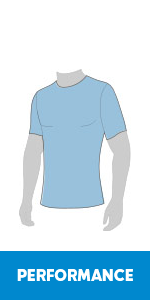 Out of the four PFG series shirts discussed, the BG3 series probably have the tightest fit. I still wear a medium in the BG3, but the series has a slimmer type cut than the previous versions discussed. All in all, this is my favorite alongside the Tamiami. I slightly prefer the Blood & Guts for fishing due to the stain resistance, whereas, I prefer the Tamiami for casual and boating wear just from an aesthetic standpoint. The Tamiami may have the slightest of edges in the cooling department, but they are very close in that regard. 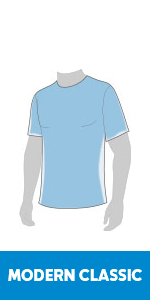 >Select a color and size option for the shirt. >In the list view screen, select your size and click the “lowest offer for each” icon beside the color selector. This will display the cheapest offering for each color shirt in that size, so you can quickly see which colors are the cheapest. Also, this view will show any Amazon Warehouse Deals available. As mentioned in the first paragraph, these shirts get returned often due to sizing issues, and many times the Warehouse deals are shirts that were tried on, then immediately returned for a smaller size. 4.0 out of 5 starsPretty good travel shirts, once you remove the silly patch/tag from the back. Bought five colors of these for a trip to a tropical climate. They're lightweight and comfortable, and have held their color through multiple washings. I've washed them in the bathtub of a hotel room, wrung them out, and hung them up to dry, and they were totally dry by morning. I knocked a star off for the silly triangular patch in the center of the back, which took me a few minutes with a stitch ripper to remove from all of them without damaging them. One wash later, and you couldn't even see the lines from where it used to be. A minor inconvenience, but I don't need to advertise your brand on a button-down shirt. For what it's worth, they do seem to run a little big, and I wish I'd gone a size smaller, but they're not so big I bothered to return them. I love these Columbia Tamiami PFG shirts. 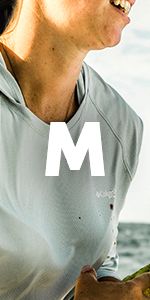 They are super light and breathable, plus the long sleeves are great for sun protection without being hot. 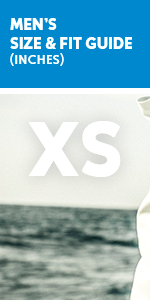 But boy am I glad I read reviewers' comments regarding sizing. I ordered a Medium whereas I normally wear Large shirts. The Medium is a perfect fit for me. Curiously, I also have some Columbia Silver Ridge shirts which are almost identical to the PFG shirts except for a few design details. However, the Large size fits me perfectly in the Silver Ridge. Basically, Silver Ridge Large = Tamiami PFG Medium. First try out today in 95 degree dry AZ weather, 2-mile hike with a backpack. I did perspire and the shirt had patches of wet in places. Although definitely cooler and dryer than a cotton t-shirt I had on the day before in similar circumstances. I love the long sleeves protecting my arms. SIZE: I'm 5'11 with 44" chest and 38" waist at 220 lbs. 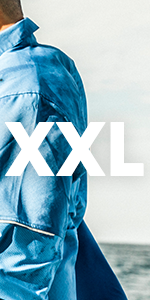 I ordered an XXL, as normally XL shirts are tight around the neck and gut on me. This XXL felt very loose and airy: perfect comfy on my 38" gut, but a bit loose and open and airy for the 44" chest and just a 1/2" large over the shoulders; and sleeves just a hair long, but while loving the airflow inside the sleeves--almost like a mini "pirate shirt." I think with similar build, but 37", or 36" waist, an XL would fit perfect and still be very comfy. So far: LOVE the shirt! 4.0 out of 5 starsMen's small fits a woman's 12, possibly a 14. I'm a woman with long arms so I have a lot of trouble finding sun shirts that are long enough to cover my wrists. Columbia's women's shirts are the worst. Even sizing up, the sleeves don't seem to get longer. As a wild risk, I tried ordering this men's small sunshirt and wonder of wonders, the sleeves are long enough. 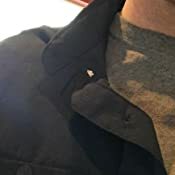 In fact, they're so long that I can actually put my thumb through the cuff button hole so when I drive, the sleeves stay down over my knuckles for full sun protection instead of sliding back all the time. Weird, I know, but it works and I love that. That of course means they're too long just walking around but I don't mind. I'd rather have the coverage. 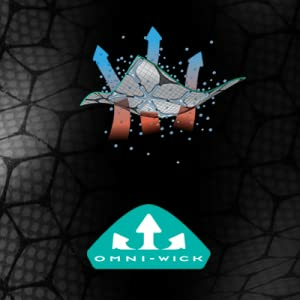 In general, the shirt is well made and lightweight. It does a great job of keeping the sun off without overheating me. The only thing is that the gear straps on the sleeves are bright white and shiny so they're really obvious and make it look like a fishing shirt instead of a plain button down. I can live with that if my hands are protected. This is a really comfortable and seemingly well-made shirt. I would recommend buying a size under what you normally wear, because the fit is a little baggy. It's a bit long to wear untucked as well (for me). But my biggest problem is all the visible logos and labels. The light-colored obnoxious labels in three places on a dark-colored shirt are unnecessary and really detract from the otherwise nice look. UPDATE: I am taking this down a star because two people have asked me if I have something on my collar. I don't. 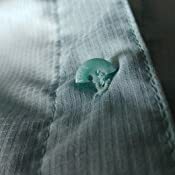 The thread for the buttons on the collar is white, so when you do not button the very top button on the shirt, you get white scraggly clumps of thread showing from the underside against the dark shirt. No other button is like sewn this, so it's just a weird choice that looks terrible.